FAB Press is an independent publishing company that has been serving film fans since 1993, issuing a library of titles that cover all the important directors and movie genres of interest to cult connoisseurs. FAB Press has been working with FrightFest’s Alan Jones for many years, publishing his books Dario Argento: the Man, the Myths and the Magic and Nicolas Winding Refn: The Act of Seeing. In partnership with FrightFest, FAB Press has published a series of FrightFest Movie Guides, written by Alan Jones (Exploitation), Michael Gingold (Monsters) and Axelle Carolyn (Ghosts). 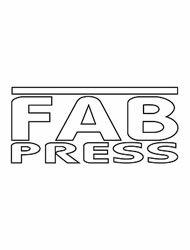 FAB Press recently became Dario Argento’s official English language publisher.